The Mate 20 series devices are amongst the first phones to adopt the "digital wellness" feature introduced by Android 9.0. Named Digital Balance, this function helps you monitor your device usage, so you can live in perfect harmony with technology. Digital Balance measures how much time you spend on your phone and it shows the usage duration of each individual app. 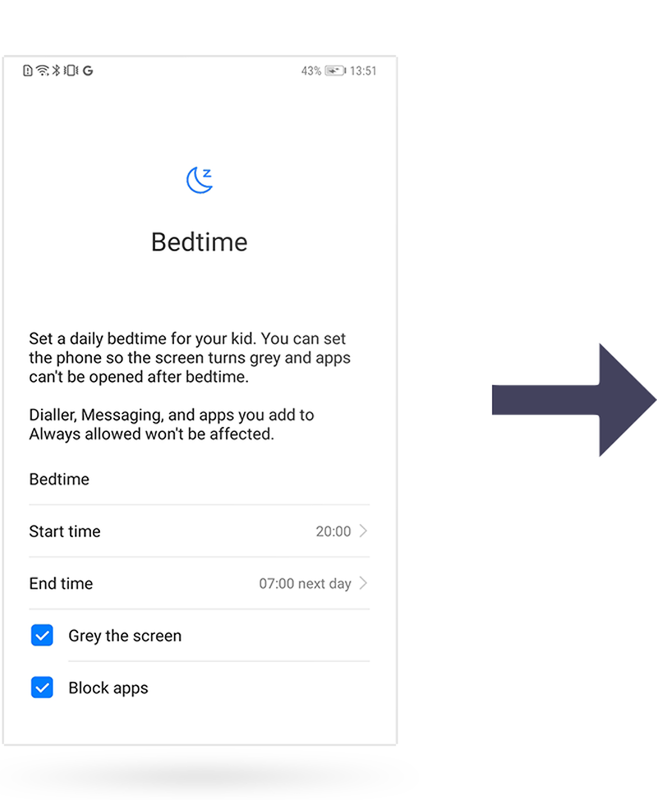 If you think you are wasting too much time on your device, this feature allows you to set usage limits for apps, as well as a daily on-screen time limit. Digital Balance also includes parental controls for monitoring your child's phone usage. To use this feature, go to Settings and tap Digital Balance. There you can see the usage stats of your device. You can press More to check the screen time and the app usage for the last 24 hours or for the last seven days. You can also see the unlock frequency of your device. Digital Balance allows you to set usage limits for your device. To do this go to Settings, tap Digital Balance and enable Screen time management. Select This is my phone and press Done to initiate the screen time management. 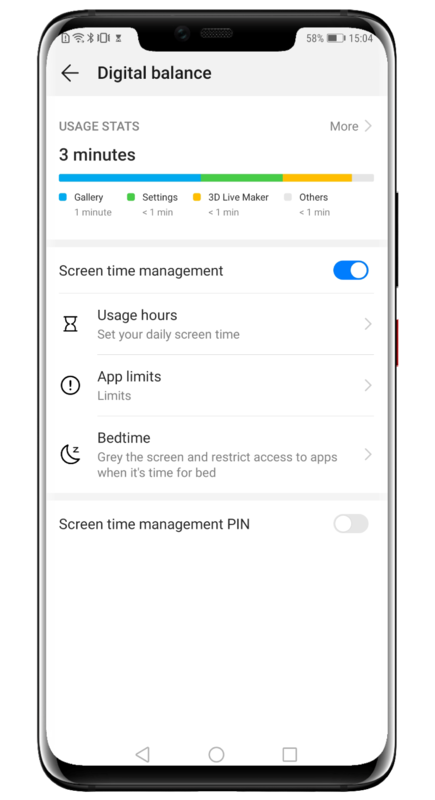 You can also set a Screen time management PIN to approve screen time extensions or to change the usage settings. On the Digital Balance menu you can set the Usage hours, meaning the amount of on-screen time you define for each day. You can select different rules for the working days and for the weekend. After the limit is reached, it can be extended only with your approval. You spend to much time on Facebook or Twitter or you can't get off Instagram? App Limits allows you to set usage limits for each individual app. After the time limit is reached, you won't be able to use the app anymore. Some apps can be set to Unrestricted, so you can open them at any time. There is also a Bedtime mode. 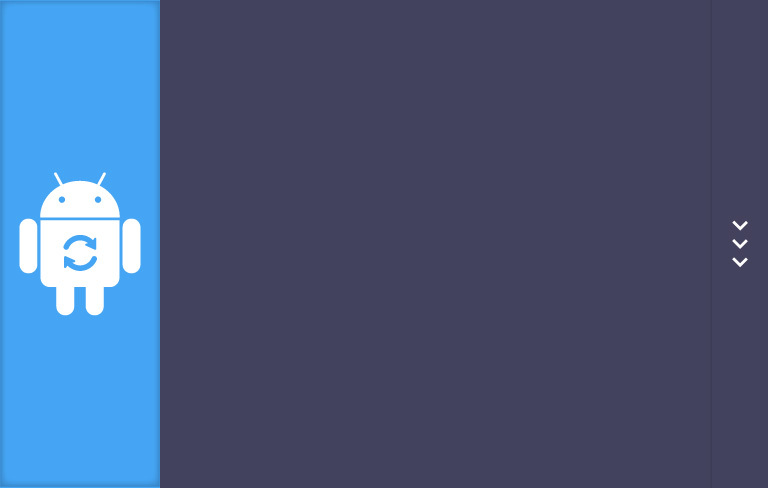 It turns your display grey and it restricts the access to apps during the sleeping hours you have selected. Digital Balance allows you to manage your children's screen time and app usage, guiding them towards healthier technology habits. To use this feature, go to Settings, open Digital Balance and enable Screen time management. 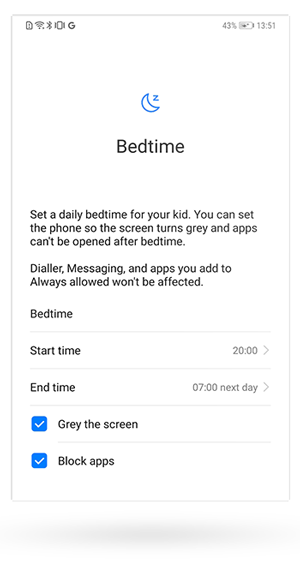 Then select This is my kid's phone and tap Next to configure the Daily Screen time and the Bedtime. You also have to set a Screen time management PIN and a Security question. You will need them if you want to change the usage settings.